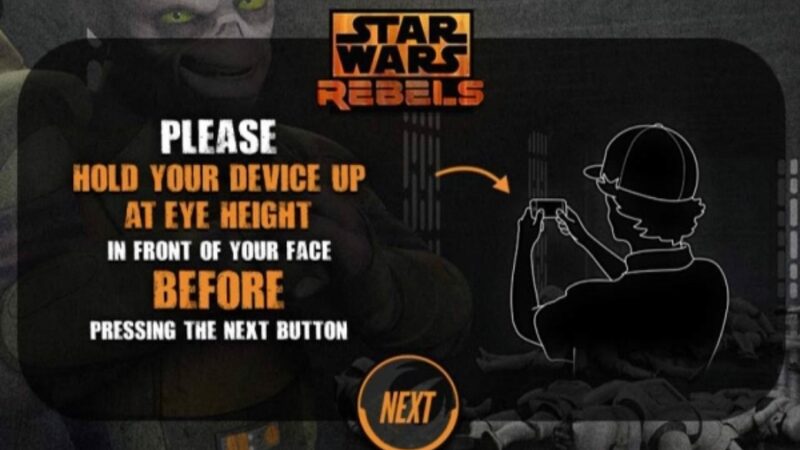 To celebrate the launch of Star Wars Rebels, the new animated series from Disney, Lucasfilm and Lucasfilm Animation, Blippar partnered with the cinematic giants to produce a spectacular interactive mobile experience - and one of the most advanced augmented reality games we’ve ever built. Star Wars Rebels, which lands on British TV screens in October, is set five years before Star Wars Episode IV: A New Hope and 14 years after Star Wars Episode III: Revenge of the Sith. It follows the Rebel Alliance, a motley crew of rebels who unite aboard the starship Ghost after finding themselves affected by the fall of the Galactic Republic. The blipp is triggered off the Star Wars Rebels logo, seen at the top of the poster above, which can also be found on A5 leaflets distributed in Disney stores across the UK. Blipping the logo makes it open like a hatch to reveal an animated video and interactive animations of each of the main rebels: Zeb, Chopper, Ezra, Sabine, Kanan and Hera. Users can then tap each of the characters to read their biographies, and play a cool AR game, Tie-Fighers, in which they must use controls on their mobile screen to shoot at enemy spaceships (Tie-Fighters) against the backdrop of their own real-world environment. 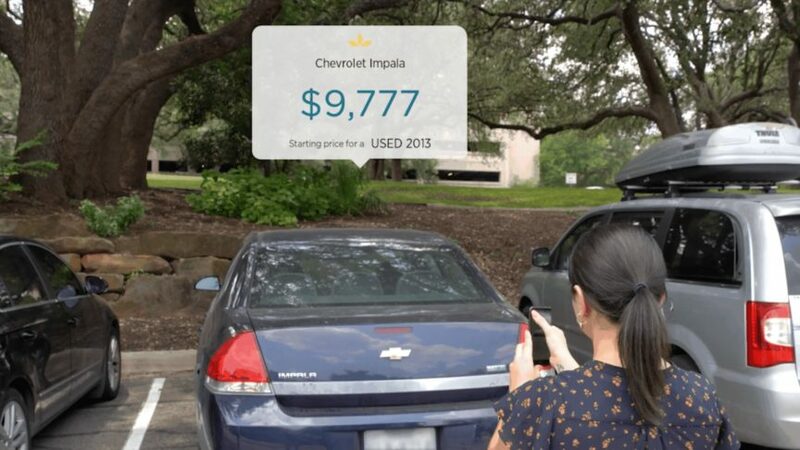 In a Blippar first, the intense, action-packed game can be played without needing the marker to stay in view. The campaign offers an immersive experience to Star Wars Rebels’ main audience (primarily boys aged 7-11) and core Star Wars fans in a visually fun and engaging way. 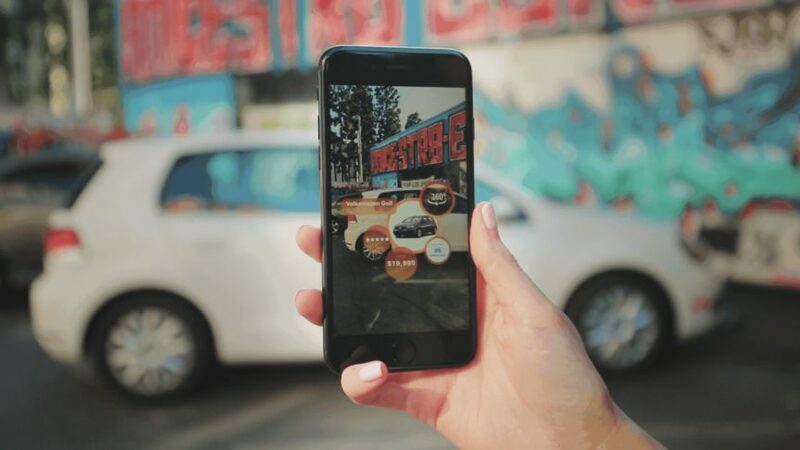 Jeff Kershaw, the Blippar developer who built the blipp, said: ‘The Star Wars game is definitely one of the most advanced we have built to date, and the first to give the user an augmented gaming experience without having to track the marker (i.e. : keep the trigger in view). ‘In the game you have to shoot at tie-fighters flying around your own environment. My boy was laughing while he was shooting as they kept flying close to his mum's head and in front of his sister’s face! 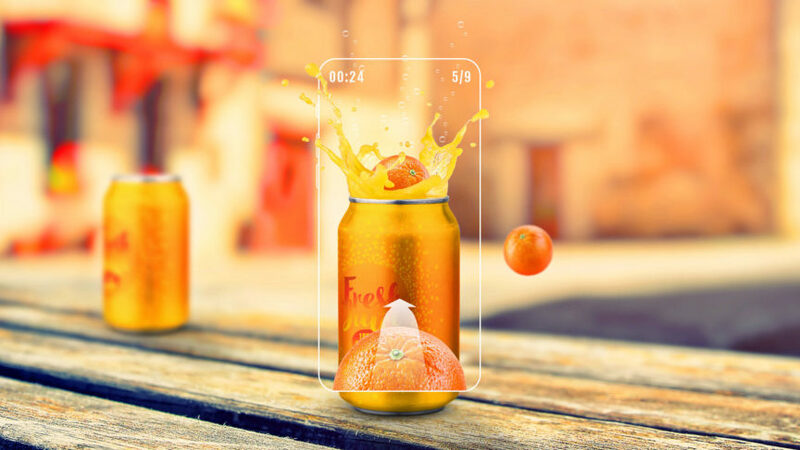 Leon Tyler, one half of a pair of Blippar designers who created the sensationally immersive look and feel of the blipp, said: ‘My main objective designing this game was to refine the concept down to its most exciting element and shed any excess weight. *BOOOOM* (bits fly everywhere) + *giggle* = fun. Tom Henchman, the other half of the project’s stellar design team, added: ‘Star Wars is the kind of project every designer/developer/human male dreams of working on, so we all felt a pressure and responsibility to make this as amazing and showcase-y as possible. ‘We all wanted this in our portfolios, so wanted to ensure we were really proud of the final product - which I'm pretty sure we all are. My part of the design was the initial overlay and menus, so I had the important job of making sure users were engaged enough in a clear journey not to lose interest or get lost before they actually found the game itself.